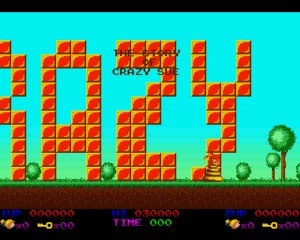 Crazy Sue is a 2D platformer released as the cover disk of the Amiga Fun magazine in 1990. 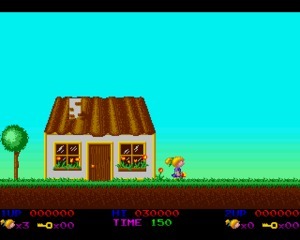 The game was created by Hironymus Jumpshoe, Thorin Oakenshield and DJ Braincrack, whose real identities are not known. 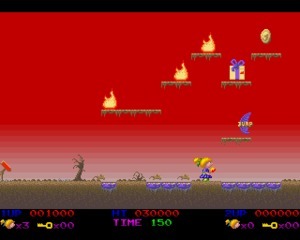 The game is quite simple and made of 10 levels. 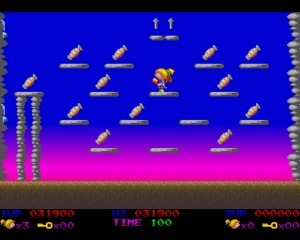 The main character, Crazy Sue, can jump to avoid monsters or shoot lollipops at enemies to defend herself. 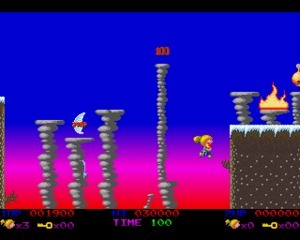 The music is sweet, graphics are ok, difficulty level a bit too high, but this is a common problem for Amiga platformers. 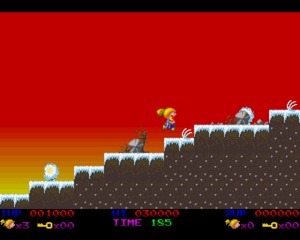 Not exactly a fantastic game, but good enough to get a sequel, Crazy Sue Goes On. 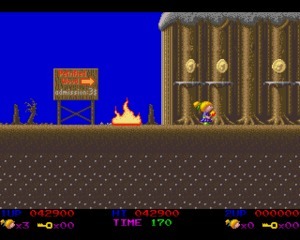 The game was later released in the Public Domain and some fans tried to remake it. 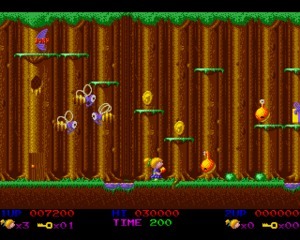 If you are passionate about the public domain scenes and coverdisks, this is the game for you.